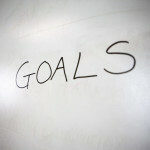 Does Your Friday Goal Setting Success Start on Monday? As a goal setting-goal achievement coach, I routinely hold weekly reviews with clients to talk about the progress they are making towards reaching their goals. In the process we first celebrate the successes of the week before. Then, we talk about what might be changed or added to be more effective. Finally, we talk about what’s going to happen next. This process continues as the client learns new things about the goal. This continuously builds the clients skills and confidence. So, as you look over your Monday and goal setting strategies, what successes will you be celebrating this Friday? What changes might you make to be ready for next Monday? Remember, if you’d like a little help with reviewing and revising your goal setting plans, give me a call. (602) 424-5758. Or, shoot me an email. I’m here to help.